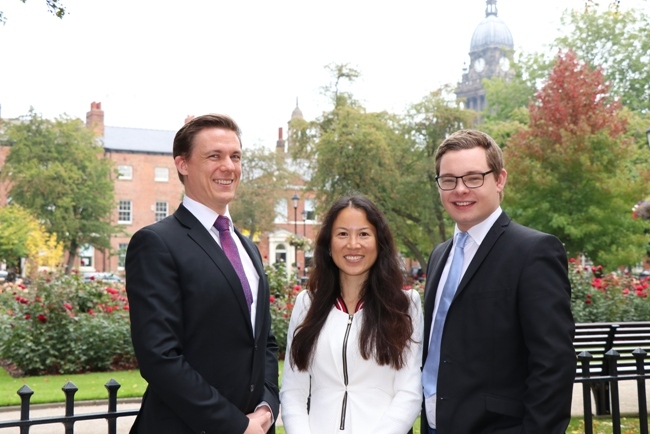 Law firm Womble Bond Dickinson (WBD) has welcomed three trainee solicitors into its Leeds office. The new trainees will have the opportunity to spend six months in four different business groups across the firm including real estate, corporate and commercial, dispute resolution and private wealth. In total, 26 trainee solicitors are joining WBD across the firm’s UK offices. The successful candidates – Chris Gilbert, Catherine Bailey and Curtis Fox – were offered the training contracts after an intensive recruitment process involving an online application, video interview and attendance at an assessment centre day. Last year, WBD was named as a top graduate employer, ranking 161 in the Guardian UK 300 list. Over 60 law firms were ranked and WBD featured amongst the top 20. The annual list is based on votes from over 60,000 students and recognises the best employers in the UK for people seeking graduate jobs.